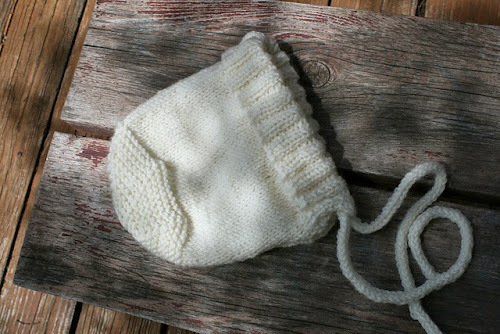 precious little hat!!!! I've heard others talk about this trilogy....some LOVE it, others are pretty so-so about it. I'm following your lead. Thanks for the review. Glad you like the hat :-). I hope I have led you well! Ooh, thanks for the review! I have read Gilead. I liked it, but I totally understand what you mean and can resonate with your thoughts on it. 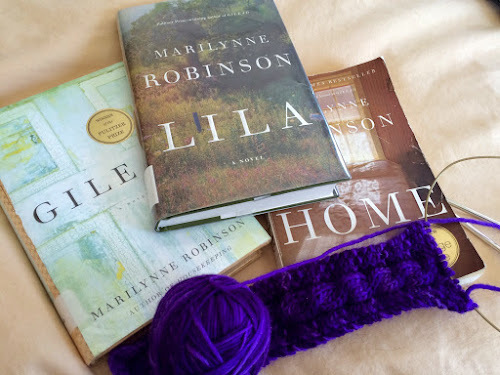 So many people that i know like Marilynne Robinson though. I'm going to read Lila soon! I think that you will love Lila if you liked Gilead. I'd really love to hear what you think of it when you are done! hi! 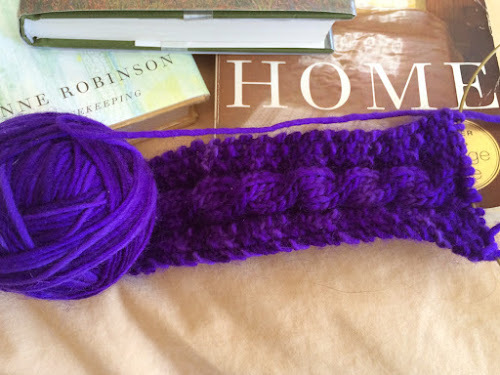 thanks for commenting on my blog the other day for the yarn along! I am just catching up with things here! I TOTALLY hear you about this author. Actually she makes me feel uncomfortable with what I also see as unclear and well... it sounds good on the first read but then I kept finding myself thinking of the ideas given by the narrator in other contexts and it not longer sounded good to me! some talent in writing but don't like her world view as it were.